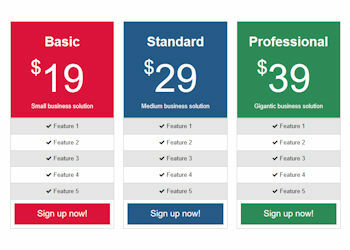 Pricing Tables extension released (paid). The demo version can be downloaded via the Extension Manager (Menu->Tools->Extension Manager->Available). Note that this is a commercial extension, it is not free! The demo version is fully functionality, however the properties will not be saved.